'Asleep at the Wheel' - appeared on TV3 Inside New Zealand programme on 8th July 2004. To order copies for private use, please contact Top Shelf Productions on Ph: (04) 382 -8364, Wellington or refer to their website www.topshelfproductions.co.nz . Video cost NZ $39.95 incl. package & postage. For public use please contact TV 3 on Ph: (04) 801-6333, Wellington. 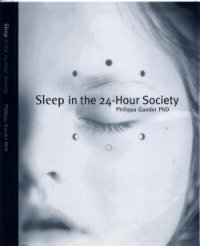 'Sleep in the 24 hour Society'. 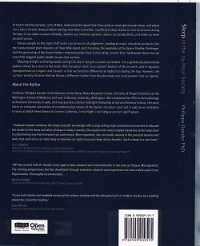 - '' Excellent book "
The author, Professor Philippa Gander PhD, is the Director of the Sleep/Wake Research Centre at Massey University, Wellington. credit card details will be obtained over the phone prior to processing the order. Packaging & Postage is $5 within New Zealand. The price for other countries is available on application. Hard work has never killed anybody or so this masochistic maxim would have you believe. BTC wants us to know when enoughs enough, and remind us in an hilarious and perceptive way that, actually, hard work has killed a whole bunch of people. An excellent antidote for those who burn the candle at both ends.